Aviators are a social lot. Spend any time around a small general aviation airport and you’ll learn that even the crabbiest old hangar rats among us is happier when there’s someone around to toss an insult to. Yes, we love doing things together, whether it’s fixing or building an aircraft, eating, sitting around the hangar telling lies, or even flying. The ultimate airborne manifestation of this phenomenon is formation flying. Not just being in an aircraft with fellow pilots, but each person bringing their own airplane along for the ride as well. It can appear deceptively easy. After all, we drive our cars on the highway in “formation” for hours on end and think nothing of it, barely paying attention as we hurl along the interstate at 80 mph while mere inches from vehicles on both sides of us. A large formation of RVs at the 2013 West Coast Formation Clinic. In reality, anyone who’s done it can tell you that quality formation flying takes a lot of work. You’re moving at a much higher speed, for one thing. There are no lane lines to guide you, no road for support, and so the aircraft must be controlled in all three dimensions. The air currents — much like a river — are constantly ebbing and flowing, bouncing the aircraft around. The throttle alone gets a serious workout, as anyone who’s not the lead aircraft will find themselves needing to make constant power adjustments to hold “station”. And the stakes are much higher, because unlike an automobile, a collision between planes is far more likely to result in a funeral. So far it doesn’t sound too appealing, does it? But in my experience, when it’s done with skill and precision, formation flying is a lot like aerobatics: incredibly demanding, rewarding, and just plain fun. If you’re a pilot, formation flying can be a wonderful cure for that “what now?” feeling you may get when you need something to reignite your passion for flying. And as I previously noted, it’s the ultimate social flying activity. 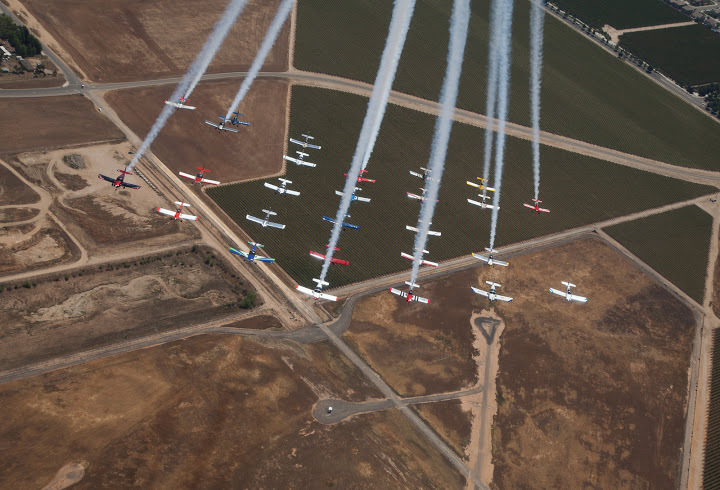 Here’s a video from the recent 2013 West Coast Formation clinic in Madera, CA that will give you a good sense of what this kind of flying is all about. The WCFC is a large training event specifically for the RV series of experimental aircraft. Note the constant adjustments by each pilot in order to hold their aircraft in just right position. 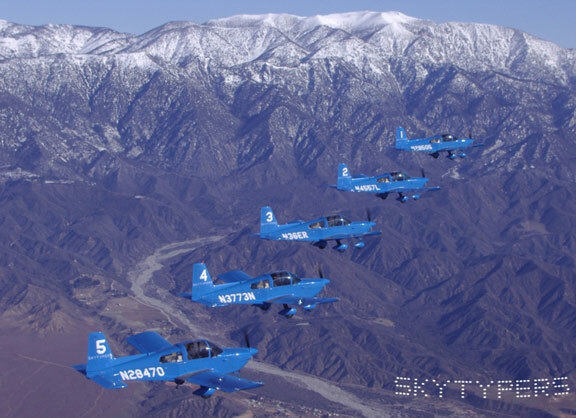 This reminds me of the flying I sometimes do for Skytypers, a formation skywriting team based at Chino. The five aircraft have to maintain a line-abreast formation of considerable (yet precise) distance while the smoke is on in order to make the sky typing look good from the ground while creating a message that can be several miles long. Come to think of it, formation flying has played a role in quite a bit of my aviating. Whether it’s “on tow” during a glider flight or enroute to an aerobatic contest, there’s always a great feeling of camaraderie during formation flight, not to mention a feeling of safety. If I should suffer an engine failure or other problem, I’ve got someone right next to me that knows exactly where I am. Another set of eyes to look for traffic, weather, or just talk to on a long cross-country leg. 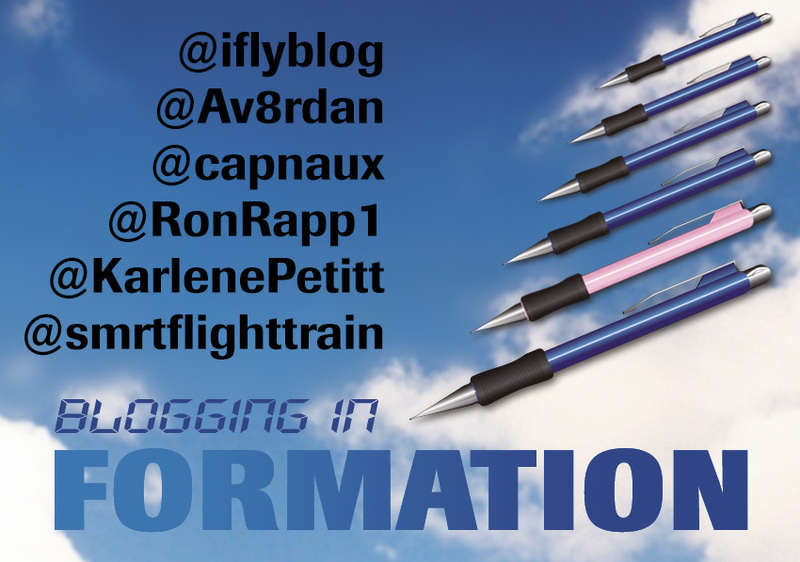 Speaking of flying together, a few aviation writers (myself included) have banded together to try a new concept: “blogging in formation”. The idea is that we’ll take a topic — in this case, how we got into flying — and write about it. There are six of us, each with a specific day to publish our post. Taking the social aspect of flying online, one post at a time. If this thing takes off, we might turn it into a regular series. Please do follow the various writers as it goes from one site to another and see how each of us ended up in this quirky little flying world of ours! 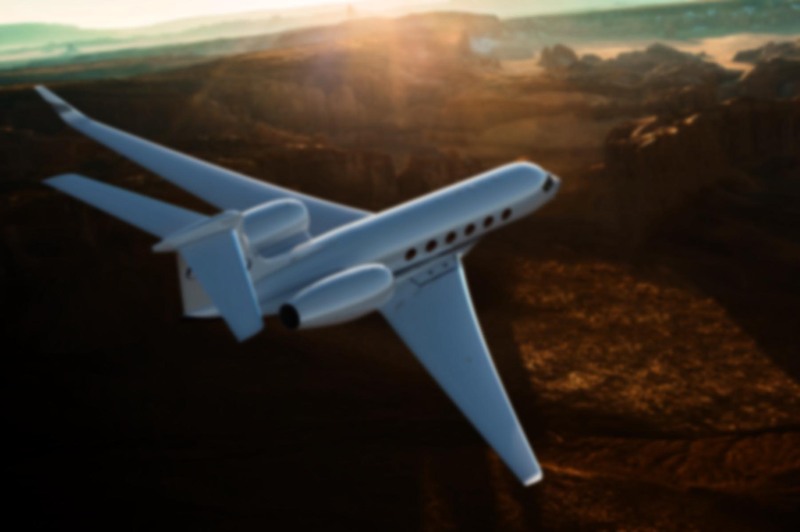 Series #3: The Future of Aviation in the U.S. I have been anxiously waiting for this. I look forward to it as people’s stories are one of my favorite things about aviation. Same here, David. I could write a book about the endlessly fascinating people I’ve met through aviation. The flying stories are great, of course, but at the end of the day it’s the human aspect of aviation that I’m most drawn to.